To confirm here, the camera should output a 1080i signal if that is what is supported by the playback device. From the research I did, however, the HERO4 should have done this as well. If yours didn't @robr7021, I'm not sure if that may have been an issue with the camera or some issue with the set up with the Blackmagic ATEM. I'd like to believe that what you're writing is true -- but GoPro support, via e-mail, has told me that 1080i is not necessarily supported or implemented, and "although it may have worked with older models, it's not documented in the specs. as supporting 1080i." So which is it? 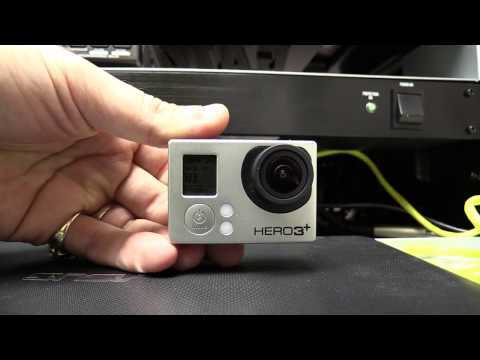 - Use the Hero4 with my wireless Aries Pro transmitter/receiver to connect with the ATEM Switcher. No signal. - Plug the wireless receiver into my LCD Monitor (which has HDMI in) and the picture displayed with no issue, reports as 1080p. - Plug the camera directly into the ATEM switcher -- no signal. - Turn camera off, and back on. Still no signal. I didn't have my Hero 3 at that event, so I couldn't repeat the test with the Hero 3, which did work previously with my switch. When I have a few minutes, I'm going to setup a more comprehensive test series with and without my ATEM switch to see what I can come up with. I held off on such a test based on GoPro's prior support e-mails to me. I have ATEM Studio 1 M/E 4K, 2 Micro Studio camera and 2 GoPRO with Teranex mini. I'm sorry to leave you hanging on this one. I've been trying to search to see if we have more information on this but I unfortunately haven't been able to find much. I originally had checked in with a member of our broadcast team who explained that the HERO4 should be able to switch between 1080p and 1080i if needed, and that he believed the HERO5 should do the same. But it sounds like you've had trouble even getting the HERO4 to do that, correct? It may also depend on the other device being used. Do any other members have experience converting 1080p to 1080i? I see @javimau mentioned one device up above. I just heard word back from that same member of our broadcast team and they informed me that the HERO5 Black should have the same HDMI output features as the HERO4 Black, and that if a device doesn't support 1080p60 or 1080p30 but does support 1080i, then the camera should support the output of 1080i60. Still looking for the answer to this; clean display out of the HDMI hero 5. Thanks for writing back! I suspect your tech. may be correct that the Hero5 and Hero4 have the same implementation, but my experience is that it's different from the Hero3 implementation, and something broke with regard to 1080i fall-back when 1080p isn't supported. I just created a short video documenting and demonstrating the test and problem... maybe it'll be helpful? I'd be VERY much appreciative if you could share this with your team internally and have them re-inspect the code.. something which used to work properly with the Hero3+Black isn't working properly now with the Hero4 and Hero5 cameras. Hey Tony -- this one is easy to fix. Swipe down to access the Settings and Connect options. Find the setting for OSD .. stands for "On Screen Display"... turn that off and it should solve your problem. Please reply if you try this so we have record of whether it addressed your problem successfully! Disclaimer: I didn't actually run through this on the Hero5 but saw OSD on the menu and that's how I disabled it on the prior models.